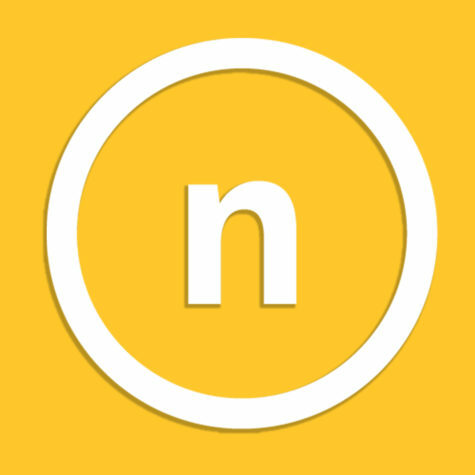 NKU set school record for most assists vs Division I team with 33. 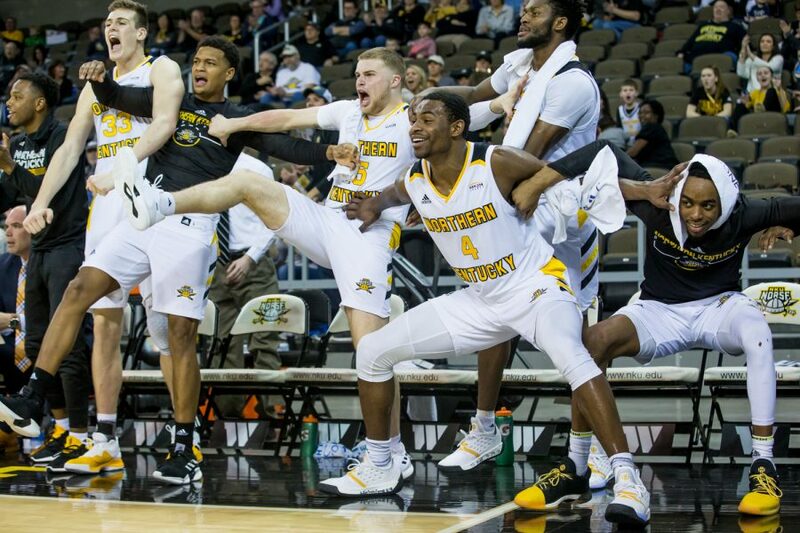 NKU players cheer after a dunk during the game against Detroit Mercy. The Norse defeated Detroit 97-65. 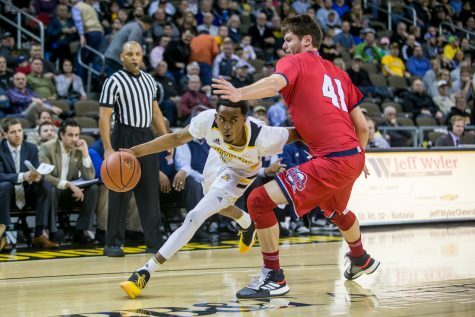 NKU men’s basketball team found their rhythm against Detroit Mercy Thursday night, in a 97-65 win at BB&T Arena. 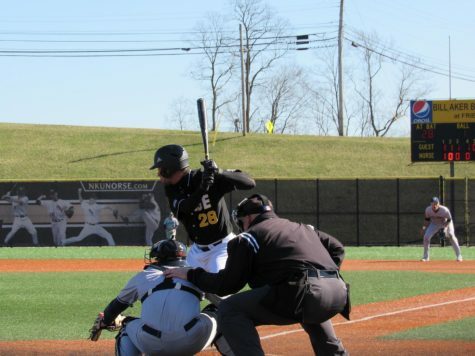 NKU moves 9-3 in the Horizon League and 19-6 overall. The Titans move 6-6 in the league and 10-14 overall. Senior center Drew McDonald had 20 points, 8 rebounds and 5 assists for the night. McDonald was perfect from behind the arc scoring 4 of 4 and achieved his 1,000th career rebound during the game. Freshman guard Trevon Faulkner followed with 12 points, redshirt sophomore Jalen Tate and freshman guard Bryant Mocaby add 11 points a piece. Junior guard Tyler Sharpe finishes out the Norse in double digits with 10 points and 6 assists. 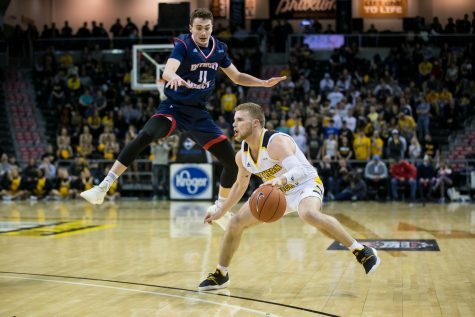 NKU men’s basketball team found themselves trailing Detroit Mercy 5-0 in the early start of the game. 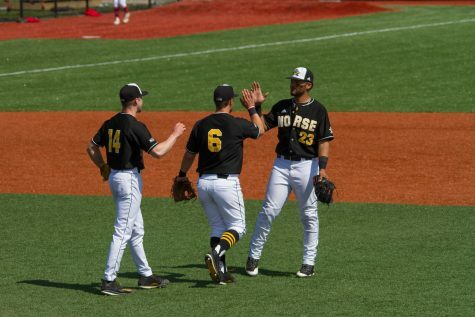 After a 7-0 run put the Norse in front, they never trailed again. NKU dominated for the first half and were able to extend the lead to 27-17 by the 10 minute mark. 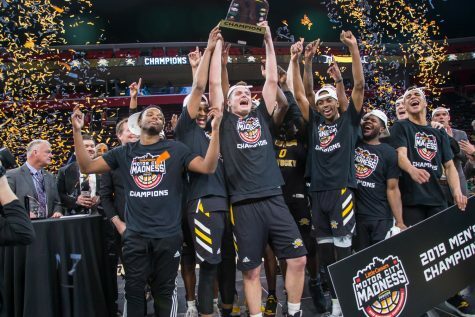 Antoine Davis for Detroit entered the game as the number two scorer in all of Division I averaging 27.1 points per game and the Norse held him in check for most of the night, which forced him to shoot 10-23 with 9 of his points coming in the final 4 minutes of play. 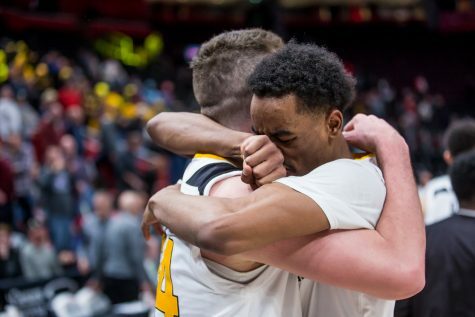 “Our mission was just to stay focused on him, try to make it difficult on him, and try and make him a passer and just basically make it tough on him,” redshirt freshman guard Paul Djoko said. NKU did a superb job in the first half holding Davis to only 13 points on 5-13 shooting. The Norse held a 51-31 advantage at the half propelled by 3 consecutive threes by McDonald to close the half. “I think the way we played gave us a lot of confidence. I think that just comes in preparation for this week. We had a really good week and we focused on improving us more than scouting Detroit or scouting Oakland coming up,” McDonald said. The Norse started the second half on a 13-4 run to gain a 64-35 lead. NKU was able to slice and dice the Detroit 2-3 zone all night which lead to easy buckets and wide open shots. “We tried to take advantage of the gaps they created by moving the ball side to side a little bit and then driving and hitting the high post and then having our bigs and our movers get behind the defense down by the rim,” Sharpe said. 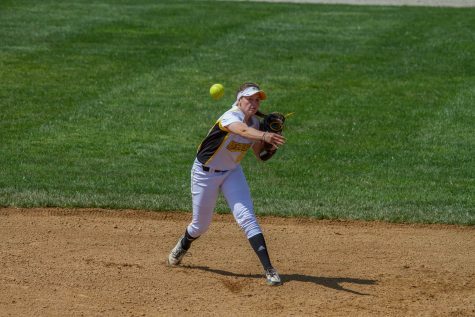 NKU did an outstanding job of sharing the ball the whole game. The Norse had 18 assists at halftime and finished with 33 assists which is a school record for most assists against another Division I team. “I’m really proud of the sustained effort defensively and obviously the numbers with 33 assists on 37 made field goals. I mean that has to be some form of a record,” Head Coach John Brannen said. 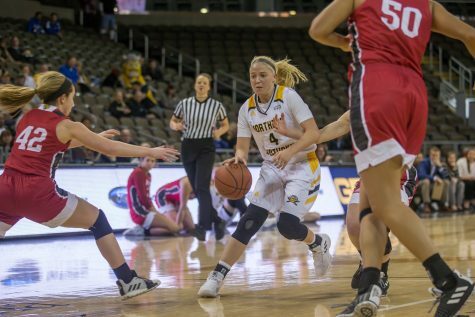 NKU shot a clip of 56 percent from the field and 44 percent from three. On the defensive side of the ball, they held Detroit to 42 percent from the field and only 26 percent from three. “I always tell the guys to be elite, it’s a small group. 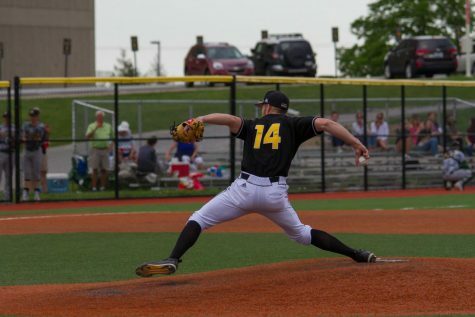 To be really, really bad it’s a small group and everything else falls in between,” Brannen said. The Norse were elite and will hope to keep this type of performance up on Saturday night as they host Oakland. 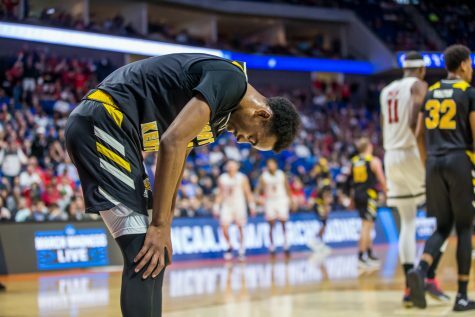 In the previous meeting this season, NKU lost in a heart breaker 76-74. Tip will be Saturday, Feb. 9 at 7 p.m. EST. The game will be broadcast on ESPN+.